Indoor cycling used to be a dull and tedious activity where you would grind away at the cranks without mercy while watching a DVD, if you were lucky. Today we have advanced smart trainers that provide immersive and engaging experiences when paired with programs like TrainerRoad and Zwift. They provide an excellent way to maintain and improve your cycling fitness in the safety of your home. When it gets too cold to comfortably ride outdoors and you decide to embrace indoor training, it can be difficult to determine which smart trainers are the best budget-friendly options. This is a market with a great number of models to choose from, and it's confusing to figure out the differences between models from a single manufacturer — let alone all of them. The idea behind this article is to do the research for you. We looked at all of the smart trainers on the market and carefully picked a few to satisfy three different price ranges: entry-level, mid-range, and high-end. This is not a list of the very best smart trainers available, it's a list of the best affordable options in each price category. Figuring out which model is the best entry-level smart trainer isn't as cut and dry as you would hope. An aspect that complicates the matter is that pricing varies dramatically depending on what country you reside in. For example, trainers from Tacx and Elite are more affordably priced in Europe than they are in the USA, and Wahoo products are the opposite. 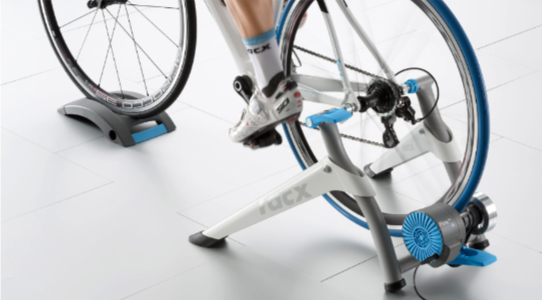 If you don't live in the United States, the best affordable entry-level smart trainer is the Tacx Flow Smart. 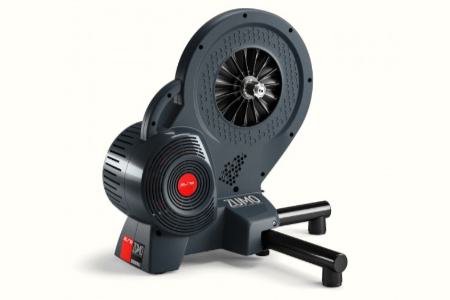 It's a "wheel-on" trainer that offers a maximum resistance of 800 watts. It measures speed, cadence, and power, but its accuracy can be off by up to 10%. Not having accurate metrics is one of the things you give up when choosing the entry-level option. In last year's article we choose the Elite Qubo Digital Smart B+ as our pick for the best entry-level smart trainer. If you live in the USA, this is still the best option in 2018, as they can be purchased for around $350 USD. Like the Tax Flow Smart, the Qubo Digital Smart B+ is a wheel-on trainer that provides great value for the money, but suffers from inaccurate metrics. Wheel-on trainers also require a short calibration process every time they're used. Last year we chose the Wahoo KICKR Snap as our pick for best mid-range smart trainer. While the Snap remains a great choice, a shift has taken place in the market. The Snap is a wheel-on trainer, and while it's a much higher-quality unit compared to our entry-level picks, it still has many of the drawbacks that come with the wheel-on design: calibration, noise, accuracy, slippage, wear on the rear tire, etc. The smart trainer market is so hot and competitive that prices are constantly being driven down. Last year there were no "direct-drive" trainers available in the middle price range, but this year there are. Our pick for the best mid-range smart trainer is the recently announced Elite Zumo. It's a direct-drive trainer that retails for only $100 more than the KICKR Snap at $699 USD. In keeping with recent trends in the smart trainer market, the Zumo provides high-end specs and performance — even though it's the least expensive direct-drive trainer out there. It offers power accuracy of +/- 3%, a maximum power of 1100 watts at 40 km/hr and 1800 watts at 60 km/hr, and a slope simulation of 12%. It's an impressive new option that changes the story of what you get in the medium tier. Last year's pick for the best high-end smart trainer was the Elite Direto, a model that represented a big shift in the market where the features, performance, and accuracy of premium $1000+ smart trainers trickled down to a unit that was priced well under that. Competing manufacturers had a year to adjust their strategies, which has led to a new recommendation to our top pick. 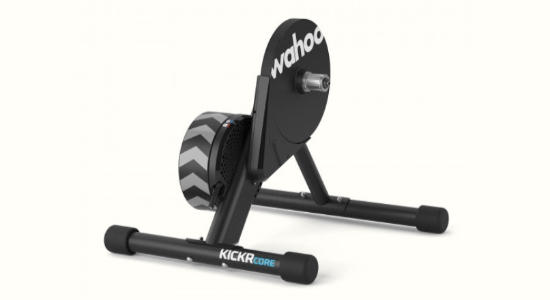 The best affordable high-end smart trainer for 2018 is the Wahoo KICKR Core. It's nearly identical to the features and performance of last year's top-of-the-line KICKR 2017, with the added benefit of being nearly silent in operation. The Core does not have adjustable feet, but outside of that there are no drawbacks to this model, and it's priced at $899 USD. There are other great options in this price range, like the Elite Direto. It's still a great smart trainer, and it's more likely to be in stock and ready to ship (compared to the popular and often backordered KICKR Core). One of the appealing things about the Core is that it's compatible with the Wahoo KICKR Climb, which raises and lowers the fork of your bike to simulate riding hills. The compelling ecosystem and silent operation make the KICKR Core the best budget option, in our opinion. When considering your budget for indoor cycling, don't forget to factor in the required accessories. It's similar to buying a new bike where you need to budget for additional items like pedals, bottle cages, a helmet, and cycling clothes. When you buy a new trainer you are going to need some important accessories to go with it. We cover them all in detail in our Build The Perfect Pain Cave post.